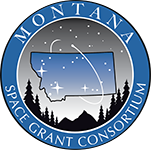 Montana Space Grant Consortium is pleased to be hosting the National Student Solar Spectrograph Competition (NSSSC) in Bozeman, Montana at the campus of Montana State University. This is your chance to build a ground based solar spectrograph as part of an undergraduate interdisciplinary team and then travel to “Big Sky” country to test it with a unique view of the sun found nowhere else. 2013-2014 Competition - Spectrograph designs can begin in September 2013 and finish with the competition May 14-16, 2014 in Bozeman. Are you looking for a real world design problem? Do you want to participate on an interdisciplinary team? Do you want to travel to the 'Big Sky' state? Do you want experience with mechanical components, optics, electronics and software? If you answered yes to these questions then this competition is for you! Get your team together and register today. A Spectrograph is an instrument used to measure properties of light over a specific portion of the electromagnetic spectrum by separating an incoming wave into a frequency spectrum. Spectrographs have a wide range of complexity from as simple as a prism to the cutting edge IRIS spectrograph. Build Your Own Fold Up Spectrograph!